Military veterans have recognized that search is one of the ways they can utilize their leadership skills and fulfill their dreams to be an entrepreneur. The Post-911 GI Bill, plus the Yellow Ribbon Program, significantly reduces the cost of graduate school for veterans and reduces any potential school debt. Additionally, the SBA reports that veteran-owned firms represented 9% percent of all U.S. businesses, which indicates a healthy and receptive audience of sellers. At Harvard Business School, veterans represent about 5% of the graduating class but a hefty 16% of the searchers in the last 5 years but none in the previous 5 years; a significant trend. 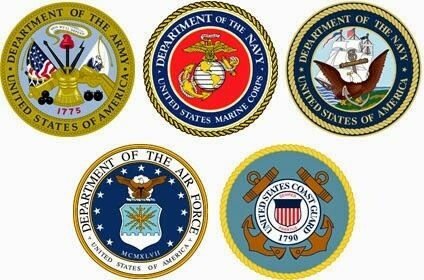 A survey of two dozen military veterans found that most were traditionally or sole-source funded. Very few embarked on their search with a partner, compared with 40% HBS partner-searches overall in the past 5 years. As with searchers who are women, having “pioneer role models” to reference and provide guidance will help potential military veteran searchers make a more informed choice for what is right for them. Judd Lorson (USN Submarines) at Klaxon reflects, “I have always wanted to own and operate my own business. Before business school I thought that meant starting something from scratch or buying a franchise – the term ‘search’ put a name to my aspirations. The timing felt right to me straight after business school, since it only felt like the decision would get harder the longer I waited (family, kids, life, etc.) and I felt I can always go pick up a corporate job after two years if things don’t work out. I was confident in my ability to lead a company but was concerned about identifying and moving forward with the wrong opportunity during the search process so I chose to join the Search Fund Accelerator to help minimize that risk.” See Blog Post – Is search right for you. Decision points in a career for a veteran are not much different than for civilians. Those who pursue their MBA face the choice of joining a large organization, perhaps one they worked at during a summer internship, or from the myriad of recruiting choices that are presented on campus. Within 3-5 years generally comes another decision point when reflecting on future opportunities, desire to change industries or changes in the company they joined. Additional opportunities to search may happen on further occasions over the rest of a career. See Blog Post – When to Search. There are lots ways to stay connected to search not matter what path you take. John Sheedy found “there is a strong pre-established network of veteran searchers. I still stay connected to the even though I am not searching. In fact, I invested my signing bonus in a veteran classmate’s acquisition.” Joining www.seachfunder.com and getting their regular updates is a way to plug into changes in the space. Offering to be an advisor or board member for a searcher my also keep you engaged. One of the most significant characteristics for a successful searcher/CEO is resourcefulness, a trait that veterans have developed and honed during their time in service. Having worn the “mantle of responsibility” coupled with a variety of leadership skills, Searcher/CEO’s with this background are successful in acquiring and operating typical “search businesses”. Serving their country gives them a significant advantage as they return to civilian life and consider Entrepreneurship through Acquisition.